Thursday 25 April 2019 at 12pm. The service will be led by Chaplain Ken Diekema and held in our Conference and Events Hall. The beautiful poppy panels from the '5000 Poppies' World War One Centenary project will provide a fitting backdrop to the service, while the Salvation Army Band provides the musical accompaniment. The service will last around 45 minutes, and tea and coffee will be provided after the service. If you have any special mobility requirements, please contact us and we can accommodate you on the day. In December 1914, during preparations for the Gallipoli invasion, the New Zealand Expeditionary Force contingents were grouped together for the first time as Australian and New Zealand Army Corps (ANZAC). Together, they provided almost half of the total number of troops in the Allied Mediterranean Expeditionary Force (MEF). From this point on, all combined Australian and New Zealand forces became known as ‘ANZACs’. On 25 April 1915, Australians and New Zealanders landed together at Gallipoli at a place later called ANZAC Cove. This date has been adopted ever since as the national day of remembrance for war dead in both countries. This first observance of ANZAC Day in New Zealand took place in 1916. In the Spring of 1915, fields of red poppies bloomed in the churned-up ground of the Flanders battlefields in Belgium. This sight inspired Canadian officer John McCrae to write the famous poem,’ In Flanders Fields’ and resulted in the red poppy becoming an internationally recognised symbol of remembrance. Beginning in America in 1920, poppies were made and sold to raise funds for veterans. 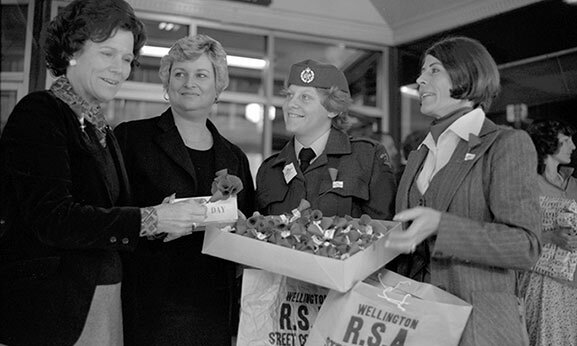 The New Zealand RSA sold over 260,000 poppies for veterans’ welfare in the first ever poppy day for ANZAC Day 1922. This tradition has continued to this day, with the poppy now representing the sacrifice made by New Zealanders in all conflicts since World War One. Poppies for the Roll of Honour will also be available at our Welcome Desk. Tea and coffee be provided after service. 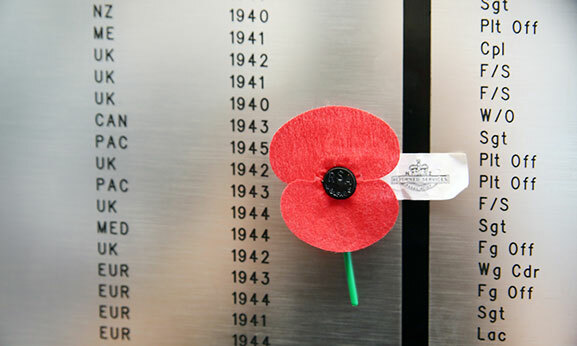 Contact Café will be open on Anzac Day from 9.30am - 4.30pm, but the café will be closed during the commemorative service at 12pm and reopen when the service has finished.